As she stared out at the sweeping pastoral greens of Bethpage State Park's Black Course in late July, Elaine Faith Thompson suddenly saw the image — a vision of the next great painting was formed, well before a paintbrush had touched a canvas. 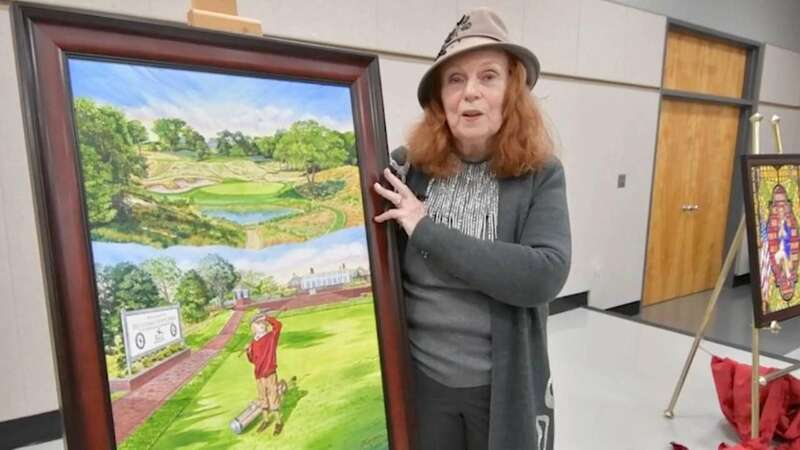 Thomson, 75, a renowned Bohemia-based artist who has gained an international reputation for her paintings of Long Island-based pro golf championship tournaments, had been commissioned to paint a poster commemorating the 2019 PGA Championship at the legendary Black Course this May. Days earlier she had found an unused photo from a decade earlier, while working on a painting commemorating the 2009 U.S. Open at Bethpage. 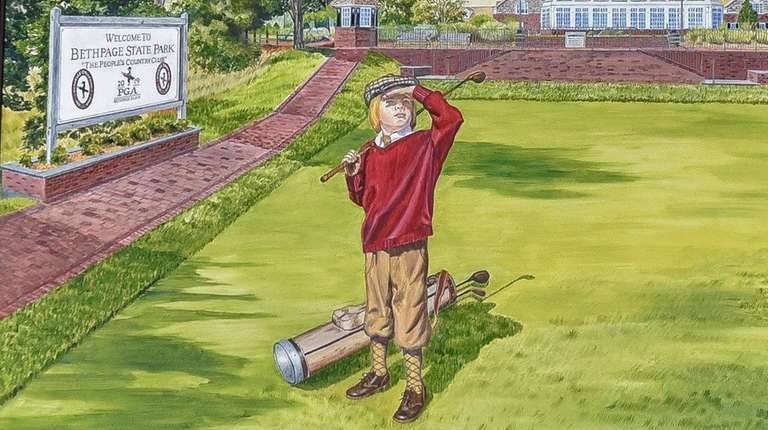 The model, her grandson, Jamie Mas, 9 at the time, was depicted in turn-of-the-century caddie attire, carrying a canvas golf bag with clubs over his shoulder, on the fairway of Bethpage's 18th hole. The unused photo, she thought, was as striking as it was symbolic. Jaime had posed as if he were looking for a ball he had just struck, his left hand bent just above his eyes to block out the sun. But it also appeared that the youth from Sayville was saluting — fortuitous foreshadowing for a man, now 21, who joined the Marines in 2015 and was now deployed in the Middle East. As she toured Bethpage in late July researching her latest work, Thompson said it all came together. "I could see it instantly," Thompson recalled Friday. "I could see it come together in my head." 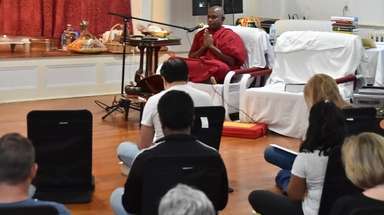 The finished composition, which Thompson says took three months to complete, was unveiled Friday evening at the Connetquot Public Library in Bohemia. "It's truly the finest painting I've ever done," Thompson said. "It just pops right out." The highly detailed oil painting features an image of Bethpage's picturesque 210-yard eighth hole — the only hole on the course with a water hazard — above an image of young Jaime looking out over the Black's final hole, with the clubhouse in the background. The 18-by-24-inch painting will be displayed in a course merchandising tent May 10-19. The PGA Championship, one of golf's four major tournaments, will be held May 16-19. The original painting, she said, will be on sale for approximately $50,000 while those on a budget can purchase a lithograph reproduction for $30. PGA officials did not respond to requests for comment. 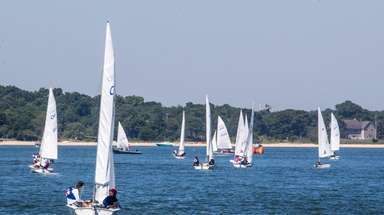 Thompson built her resume on scenic still life, painting the Big Duck in Flanders, Theodore Roosevelt’s home at Sagamore Hill, the Montauk and Fire Island lighthouses and the Aqueduct and Roosevelt racetracks. Her work attracted the attention of the United States Golf Association, which commissioned her to paint a commemorative piece for the U.S. Open at Bethpage in 2002. The three-tiered oil painting, which combined tranquil scenes of the greens from three separate eras, sold for $100,000. Thompson, who doesn't play golf — she has a bad back — quickly became a favorite of links lovers in the art community. She produced work for the 2004 U.S. Open at Shinnecock Hills Golf Club in Southampton; the 2006 U.S. Open at Winged Foot in Mamaroneck; the 2009 U.S. Open at Bethpage and the 2013 U.S. Open Women's championship at Sebonack Golf Club in Southampton. Trained as a graphic designer, Thompson shuns the use of computers and does each of her works by hand. 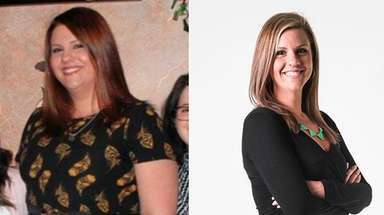 "You can't achieve the results with a computer that you can with a paint brush," she said. Thompson on Friday also unveiled a noncommissioned painting of George Washington in the Congressional Prayer Room near the rotunda in the U.S. Capitol.